SRT has trained & equipped 20 new rhino rangers in Torra Conservancy. Rhino Rangers protect rhinos in the Kunene region from poaching. And to do this effectively, they need adequate equipment. They do patrols in their respective 10 conservancies (that covers nearly 95% of the Kunene region’s rhinos outside of concessions – where they are monitored by SRT and tourism). This is tourism & conservation creating jobs and protecting our precious wildlife! 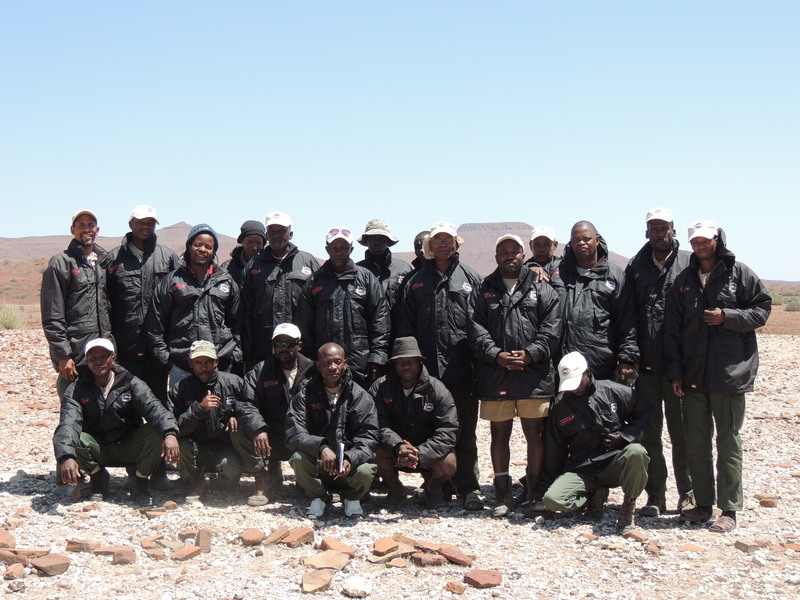 The rhino rangers from Save the Rhino Trust Namibia (SRT) with their new parkas sponsored by TOSCO. You can’t properly protect our precious rhino if you are freezing!